The year is 1989 and deep in the sweltering heat of the Mayan jungle, camouflaged among the Inca ruins, Ernesto Cruz catches his breath for a few moments and admires his handiwork, bodies strewn across the temple ruins, as he makes a last gasp effort to board a DEA plane to take him to safety. He never made it home, the tragic victim of an alleged ‘overdose’. Two weeks later, Ernesto’s son, Ramiro Cruz is hauled out of jail by the DEA to be told his twin brother, Tommy, works for them as an undercover agent and has some new information about their father’s death. But, Tommy has had an accident with a hand grenade and now Ramiro must take his brother’s place in an undercover operation closing in on the ruthless drug cartel overlord Papa Muerte. Take control of Ramiro Cruz, a man on a crazy mission through Mexico’s drug-fuelled underworld. 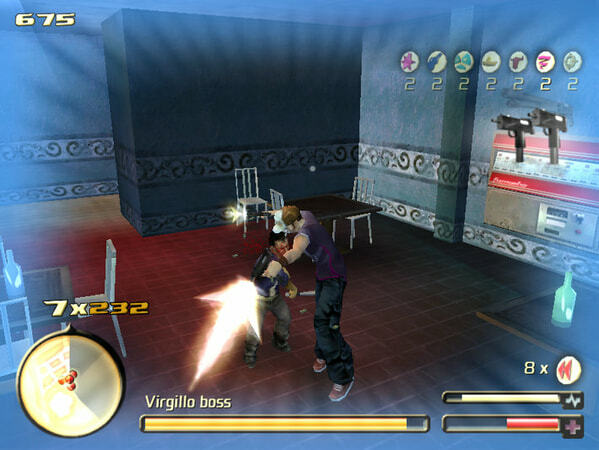 An amazing combat system keeps the action intense, mixing third person action with an incredible combo system for maximum carnage – and maximum replayability. 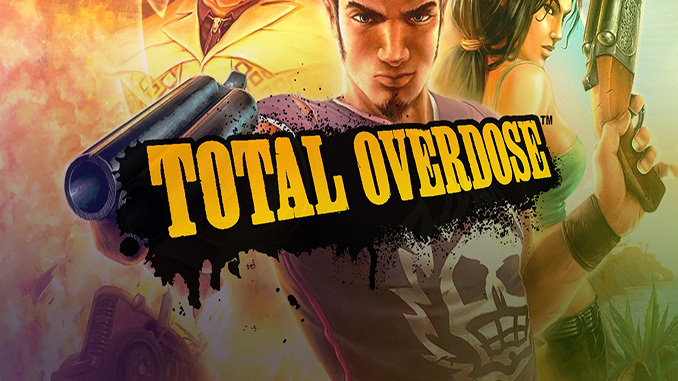 Hilarious special moves and a huge amount of weaponry makes Total Overdose as frantic and fun an adventure as you could ever hope to find, and a red-hot latin soundtrack fits the action perfectly. 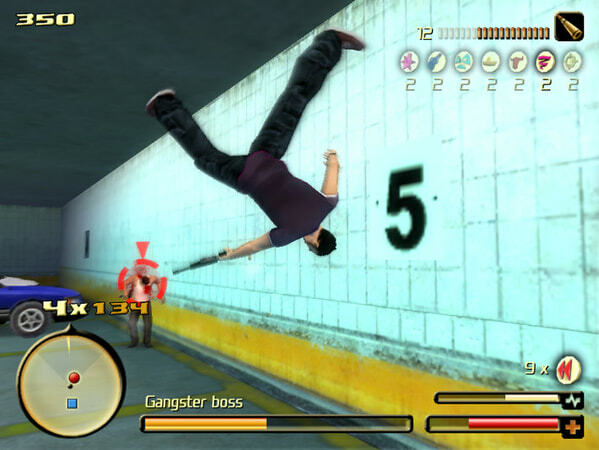 This can be the perfect Latino gangsta sandbox game you were looking for all your life! Windows XP / Vista / 7 / 8 / 10, 1.8 GHz Processor, 512MB RAM (1 GB recommended), 3D graphics card compatible with DirectX 9.0c, sound card compatible with DirectX 9.0c, 2GB HDD, Mouse, Keyboard. The year is 1989 and deep in the sweltering heat of the Mayan jungle, camouflaged among the Inca ruins, Ernesto Cruz catches his breath for a few moments and admires his handiwork, bodies strewn across the temple ruins, as he makes a last gasp effort to board a DEA plane to take him to safety. He never made it home, the tragic victim of an alleged ‘overdose’. Theres no seed on this one ..can you please seed freegogpcgames?